Imagine being the victim of a devastating natural disaster like Hurricane Harvey, Irma or Maria. If you’re not able to evacuate in time, it could take rescuers days to reach you. And if the storm damages critical infrastructure, you could suddenly be without access to clean water. Do you have even the most basic means to survive? I know I’ve said this before, but it bears repeating: Humans can survive only about three days without water. Each member of your family needs one gallon of water per day. 1. Your first line of defense is water stored in your home. 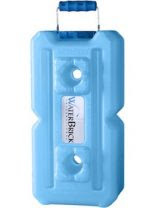 The most convenient way to store water is with WaterBricks. These 3.5-gallon containers stack up to 4 feet high, so you can put them practically anywhere. And at just under 30 pounds, they’re easy to grab and go if you need to evacuate. 2. 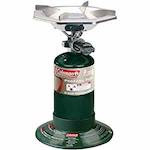 You should also have a portable propane stove to boil water in an emergency. I suggest checking out the Coleman Single-Burner Propane Stove. It’s around $35 on Amazon. 3. I recommend buying several 5-gallon buckets in the event you have to haul water from a nearby stream or lake. You can find them at your local hardware or gardening store. Also, Uline is a great brand you can buy online. 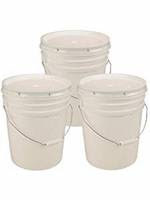 The fact is these buckets could come in handy in a variety of other survival situations — they’re just a good idea to have around. 4. 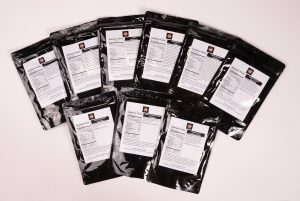 One critical item you will need is a survival water filter that removes contaminants, including the bacteria Giardia and Cryptosporidium. The SurvFilter is what I use. It filters out 99.99% of viruses and chemicals. 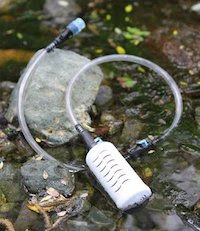 What’s more, the filter is infused with silver, which means it eliminates bacteria (and everything else) going through it, so grit doesn’t build up and clog the filter. With the supplies listed above, you will be able to provide clean, safe drinking water for your family — no matter what damage Mother Nature does. Do not wait. Get ready now — because the next storm is already brewing.